You might remember or know of the Europe Party Tour Company, 2wentys Holidays. 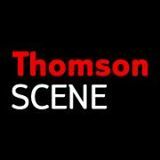 Well they have just had a rebranding and now they are Thomson Scene! Thomson Scene is all about youth and partying, with no one over 30 anywhere in sight! So whether it is hanging out by the hotel pool or down at the beach, drinking cocktails, or sweating it out in massive clubs all over Europe then Thomson Scene will have it all covered. Thomson Scene will ensure that not a a second of your time away will be wasted and that you want to get the party start the moment you arrive. To do that, Thomson Scene have on-site party professionals, your Thomson Scene Rep, who have all the inside knowledge on the very best places to drink and party. They can also get you sorted out with club tickets. On a Thomson Scene vacation, you can expect to spend plenty of time at the most popular beaches at all the top resorts across the Mediterrean and beyond. You will spend a lot of time in the sun around the hotel swimming pool, and you can expect to be drinking and partying with all the other 18- to 30-year-olds and the Thomson Scene reps. They also organises beach sports, watersports and shopping excursions. Thomson Scene accommodation ranges from quality hotels to studios and apartments and most of their accommodation is for the exclusive use of Thomson Scene. Plenty of their places have a pool. but if they dont then you can freely use the pool at another Thomson Scene accommodation place nearby. In general the accommodation is basic and vary in size from two-bed rooms to those catering for five or six guests.